Modern fashion has adapted inspiration from everything, from animals to the beautiful burst of colors. And we know how important it is to keep your home décor updated in the latest trend. 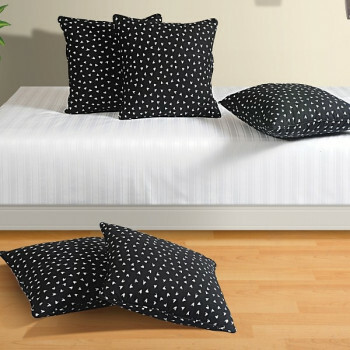 This is why Swayam presents Birdies Cushion Cover, a cushion cover filled with little printed white birds in a solid black background. 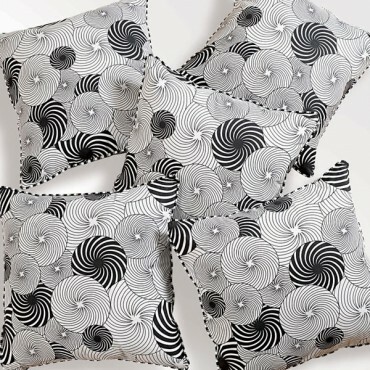 Like the serendipity of happiness, Swayam brings to you bundles of pleasantries with our Creamy Treat Cushion Cover in collection of circles. Life the soft balls of cream, our cushion cover is truly delightful to touch. 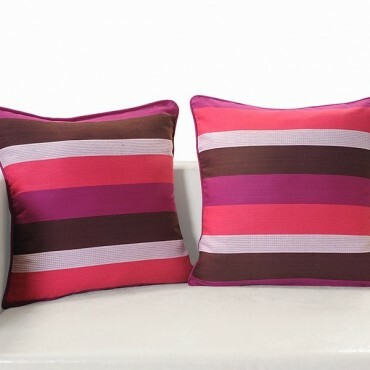 It is 100% cotton and yes, 100% color fast, giving you a good quality yet trendy product for modern homes. What is a better décor than ancient artistry and creative motifs used in a décor piece? 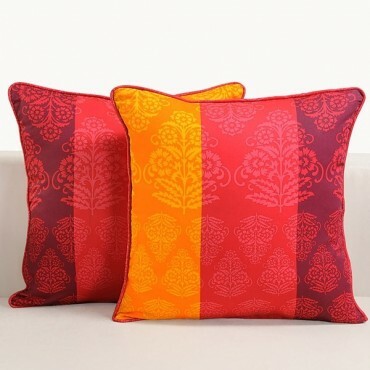 Swayam designers bring to you Red Cushion Cover that has the colors and designs that are so deeply traditional and ancient. 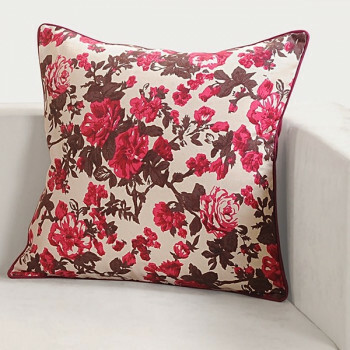 With deep pink motifs printed all over the cushion cover, it is gorgeous and plush. 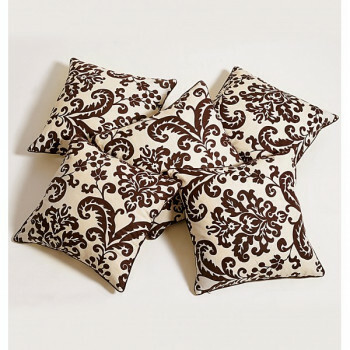 Indulge in chocolaty repose with our Chocolate Baroque Cushion Cover. 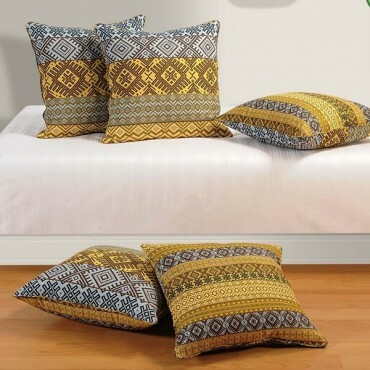 Designed in rich elaborated prints in this delicious dark cocoa color with a bright white backdrop, our cushion cover is sure to add a rich aura to your home. 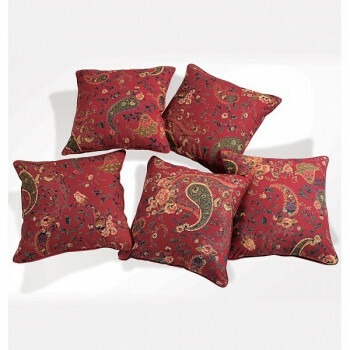 You can buy our Chocolate Baroque Cushion Cover from our online selling portal Swayamindia.com. The amalgamation of light representing supernatural beauty, promise and enlightenment is our basic idea behind our Rainbow Cushion Cover. 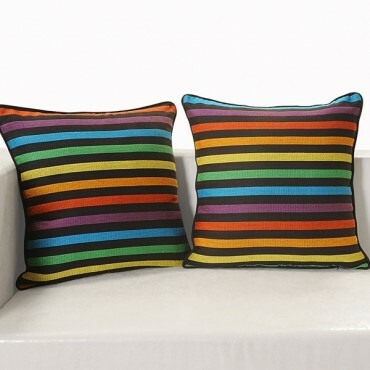 With the multiple soothing colors like that of the rainbow, our cushion cover will surely enhance the area where it will be placed. 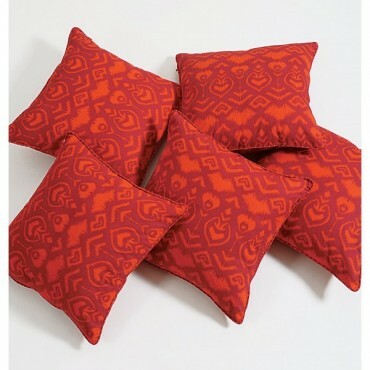 Red, yes, blazing red is what our Swayam Designers have chosen this time to play with the tone of your room. 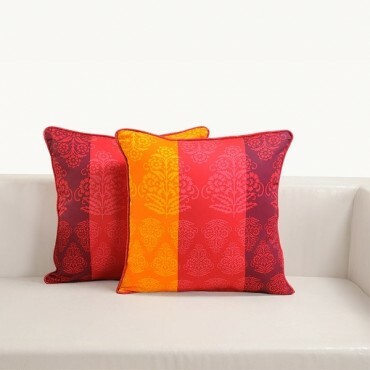 With prints in lighter shades of red & saffron, be it on your bed or your couch, Car Seats or Sofa, our Blazing Cushion Cover will fit in anywhere. Bright & sunny! 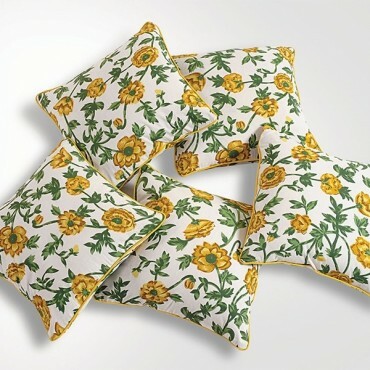 This is what you will ultimately feel, enlightened and cheerful, as soon as you lay your sight on our Sunny Flowers Cushion Cover. 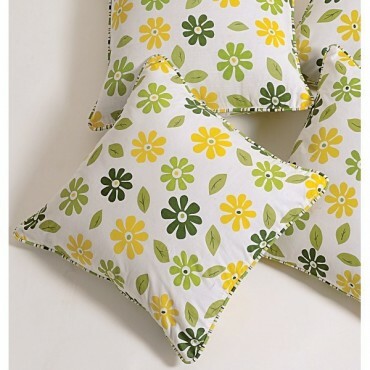 Printed with vibrant flowers in yellow, green and olive, it will surely brighten up your room. Your home décor defines your personality at large. This is why you need to give absolute detail in every décor. 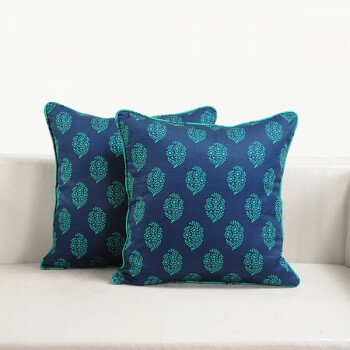 Our Blue Cushion Cover is also created for such purpose, to add class and finesse to your homes. 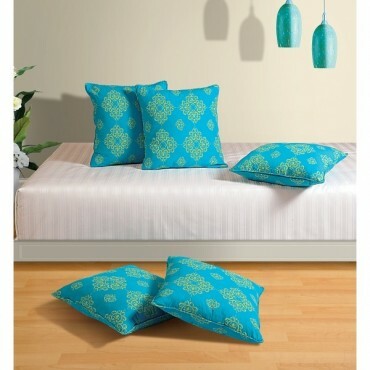 Crafted in neat blue with yellow medallion, our cushion cover is more than pleasing and graceful. 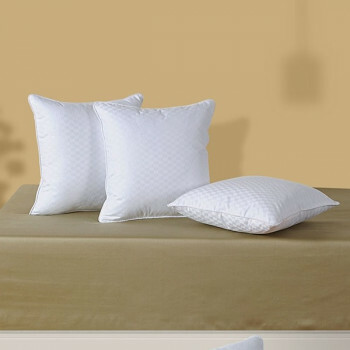 Fill the void between your pillow and shams over your bed with cushiony comfort. 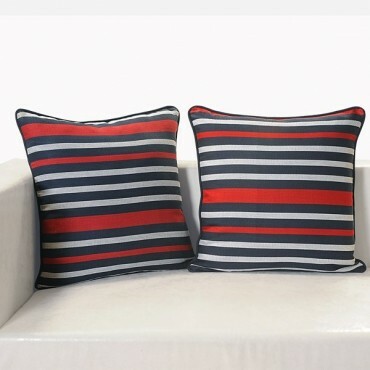 Enjoy the superior look of these cushion covers adapting to your room settings and complimenting them. 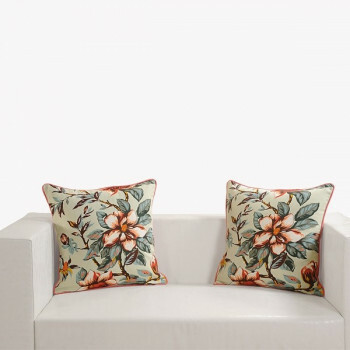 Take out some time for yourself as you start with a good read, sitting on your chair supported with cushion dressed in unique cushion covers. 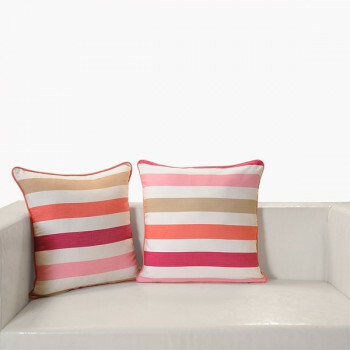 Make these cushion covers match your décor and compliments them as you place them. Expand the level of creativity in home decor with fresh flowers. 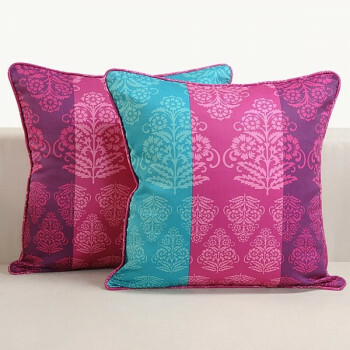 Upgrade your interior decoration by giving a fresh arrangement to the decor with colorful cushion covers. Give warm and inviting feelings to your guests and let them surprise with a beautiful fragrance. A fresh flower in homes is likely to boost your mood. 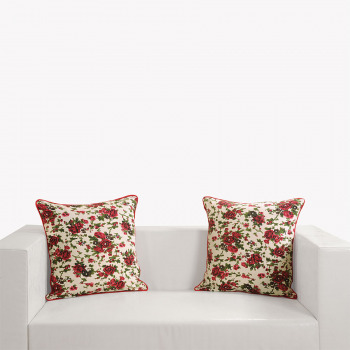 Let your sofas get acquainted to the sumptuous comfort of these small stack of comfort dressed in pretty covers. 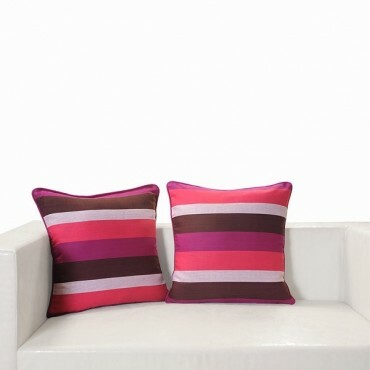 Every corner and dimension of these cushion covers don’t fail to surprise you with their appeal. What could be better than a bounce of fluffy cushiony comfort when you take a back seat to support your head? 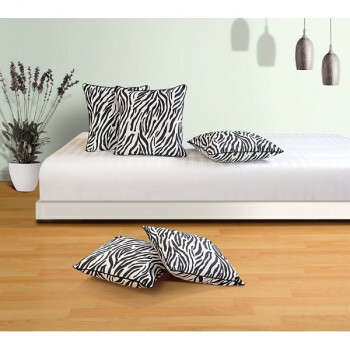 Feel the bouncy comfort adorned in amazing covers to make up for an eye pleasing view. 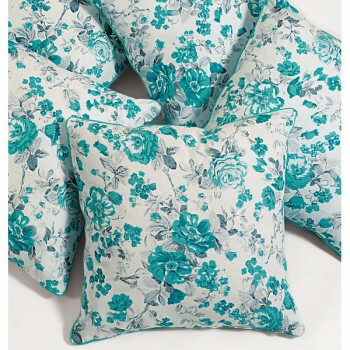 Who doesn’t like a little bit of more comfort if it comes easy, so make your bouncy sofas more charming by placing fabulous range of cushion covers over them. Watch your room come to life as your children love them and play around with them. 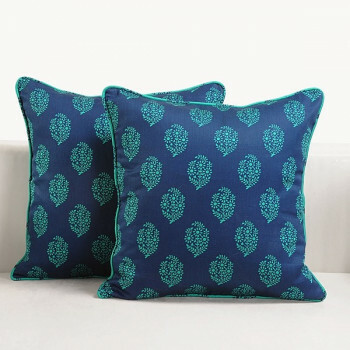 Traditional touch of this cushion cover would surely infuse a rich royal look. 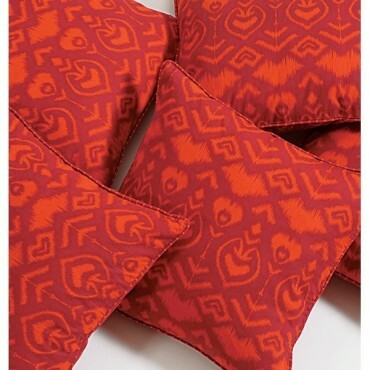 Red color offers a great brightness; complement every corner with its regal effect. 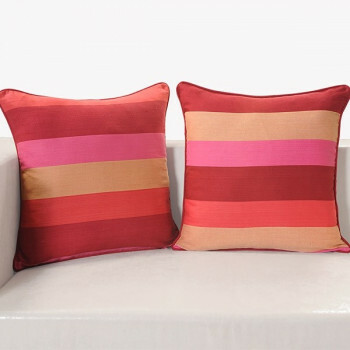 Colorful cushion covers get merged with any decor easily. Its beauty surely overwhelms you. So, overall it is find most soothing & graceful that it offers a great comfort from all perspectives. The intricate thread work of the rose patterns in sea green would grab the attention of the viewers with its serene appearance. 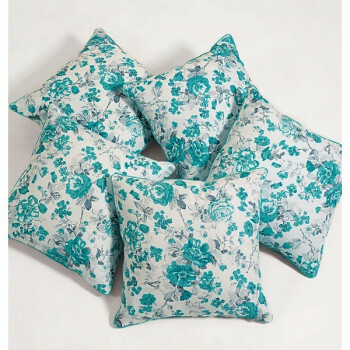 Buy emerald rose cushion covers from Swayam that promises a heavenly look to the interiors with its aura of tranquillity. Everyone wants to make their home stylish and elegant but no one make an effort to renew their home. 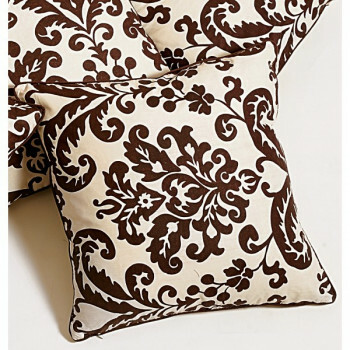 Cushion covers are the easiest solution for your home décor. 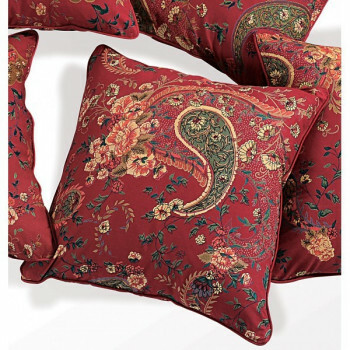 You just need to cover them with attractive covers and place them on your sofa or diwan. 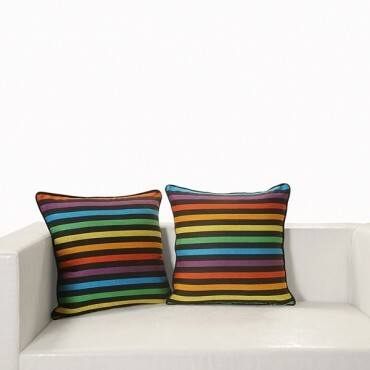 Buy rainbow shades printed cushion covers from our online shopping portal swayamindia.com and make your home a perfect place to relax. 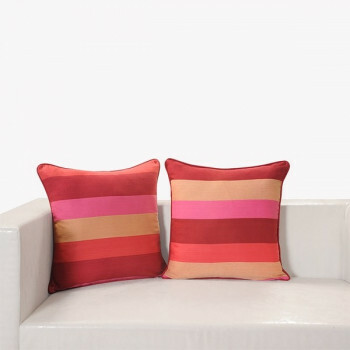 If you want to bring a glamorous change in your abode, you need to have cushion that impart a modern and colorful appearance. 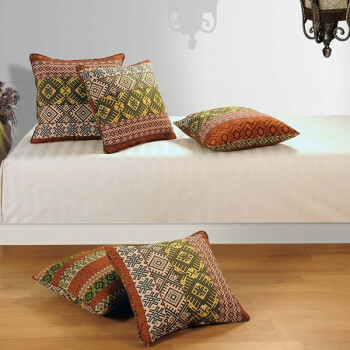 These cushion covers are perfect in terms of style and beauty which makes them ideal for any concept of home décor. 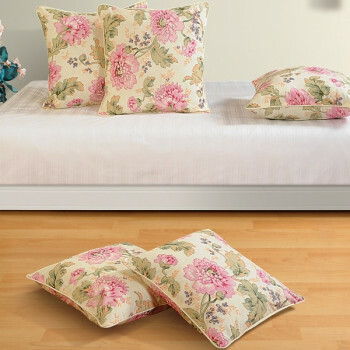 You will never have to worry about the elegance of your home in the presence of these beautiful covers. 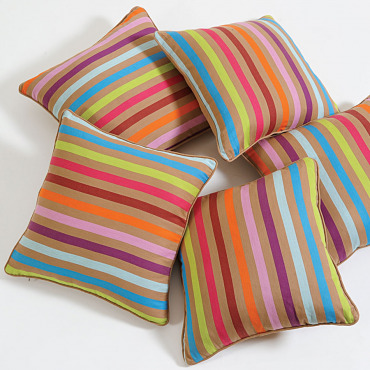 If you are planning to get a new cover for your cushions, make sure it is colorful as vibrant colors are on trend now-a-days. These colors can bring an impressive change in your space in terms of comfort and elegance. They are designed to meet the needs of every home maker. 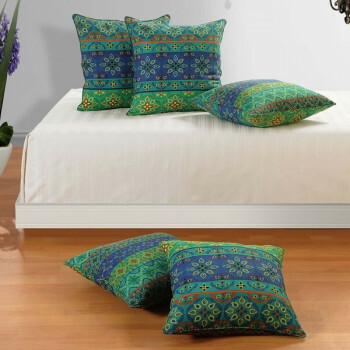 Revive the elegance of your sofa, bed and diwan by accessorizing them with the latest trend of cushion covers. Bring a change in the ambience of your space by spreading the colors all around your home. 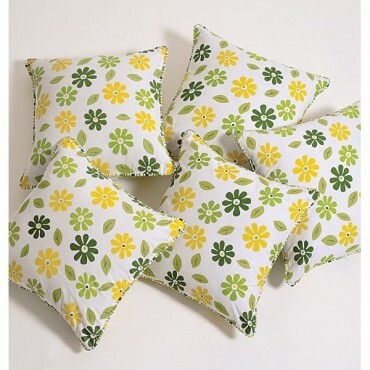 These cotton cushion covers will also keep you comfortable in your home. Take yourself to a place in paradise by decorating your home with the best and elegant décor products. 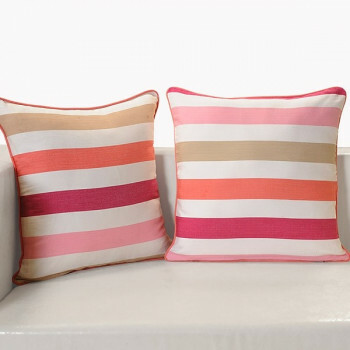 Accessorize your furniture with bright and beautiful cushion covers and give a brand new impression of your home. 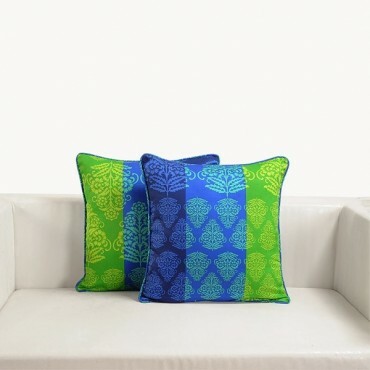 Buy blue green printed cushion covers from our online shopping portal swayamindia.com and create a better place to live. The furniture in your home like diwan and sofas tend to lose its charm and elegance after some time. 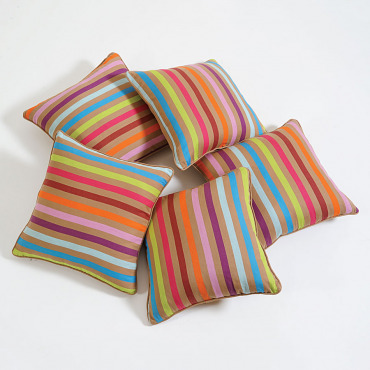 They look dull and old but you can revive the fabulous appearance of living space with modern colorful cushion covers. 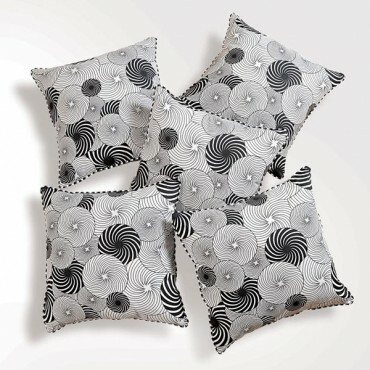 Designed with style and charisma, these covers will make freshen up your abode. Changing the looks of your home is easy but finding the right home décor product is very difficult. 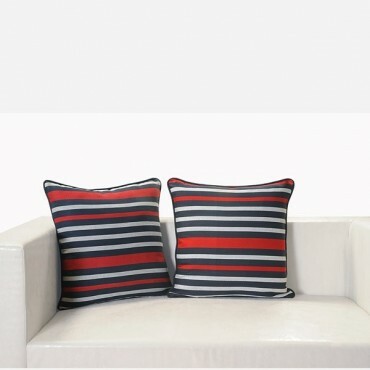 To meet the needs of modern homes, cushion covers are designed in the most elegant and attractive way possible. 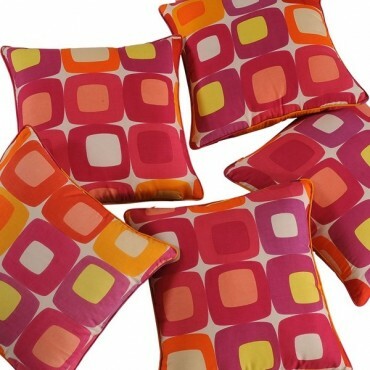 You will be fond of your cushion as you conceal them with these colorful cushion covers. Homemakers in order to give their living rooms a classy and elegant appearance, tend to pick up home furnishing products that are plain in design and light in use of colours. 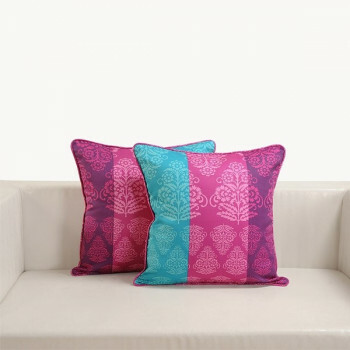 With Swayam, there is no need to feel anxious; the colourful cushion covers are pure blend of attractive designer patterns and sparkling shades. 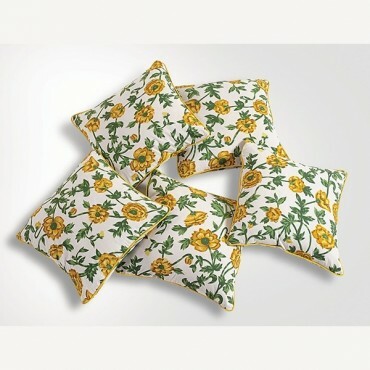 Fill in your sofa set and couch with our gorgeous Yellow Poppies Cushion Cover that has absolutely soft fabric of premium cotton. 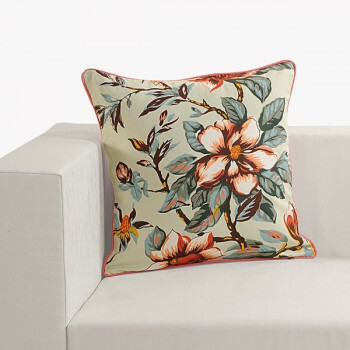 Picking the flower that represents wealth and success; our cushion cover will definitely pep up your living space, sunny and bright. Young homemakers aspire for trendy and fashionable home furnishing products to give their home interior a modern & sophisticated outlook. 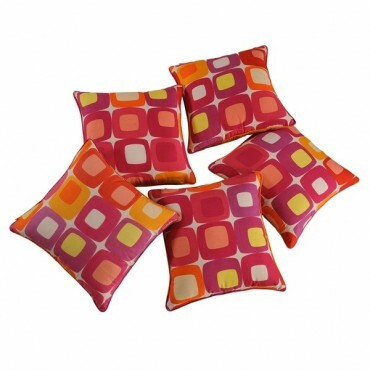 The trendy geometric shapes of the colourful cushion covers present a classy yet a peppy appearance to the setup. 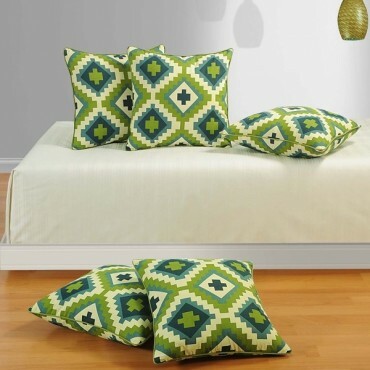 Trendy Covers Add Stylish Outlook to Home Interior Cushion covers occupy least amount of space with its minimal appearance yet create an impactful visual to furniture setup like sofa, diwan, bed, bean bags with its lively presence. Camellia flowers in delicate baby pink with moss green leaves are definitely a sight. So soothing and graceful, the feeling almost overwhelms you. 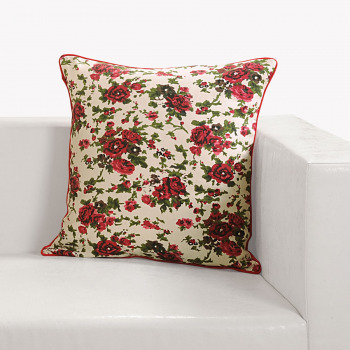 Our Camellia Cushion is here to transform your home into that lovely haven with its elegance and gracefulness. Rubies and daisies, what’s not to love about them? With the most precious of all gems and the gentles and innocence of all flowers, our Ruby Daisies Cushion Cover will light up your settings. With the quality of our product falling nothing short of grandeur, you will be surprised by its amazing prices. Reflecting Modern Lifestyle at Every Step Home decor brands now offer interiors ensembles that reflect the changing norms of society by highlighting the modern sensibilities and lifestyle of young homemakers. 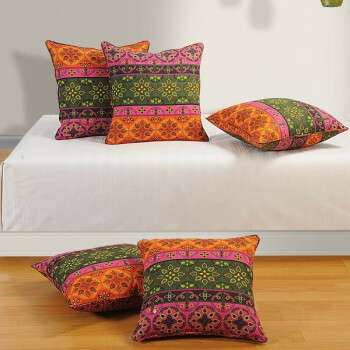 A vintage aura is reflected in the room interiors with the presence of colourful cushion covers from the house of Swayam India. The combination of lively and evergreen floral patterns on backdrop of white engages a visually pleasant appearance to the setup. Available in a set of two and five, the linens uplift the mood of the room with its perky presence. 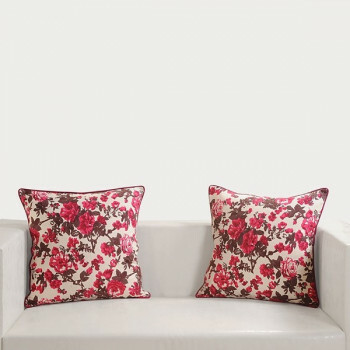 Is your sofa and diwan looking dull and old? 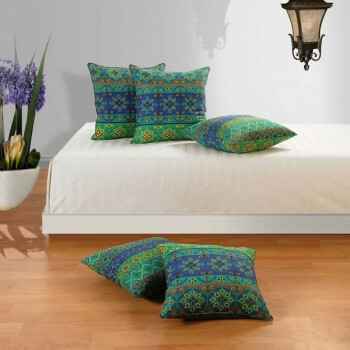 Make some use of online shopping and buy tricolor damask printed cushion covers from our shopping portal swayamindia.com. 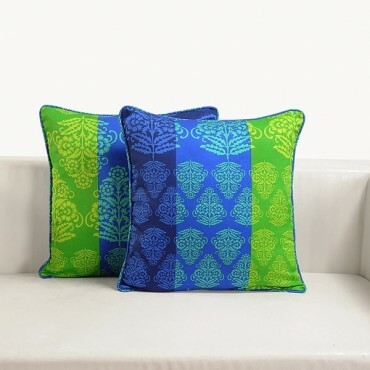 Designed according to the modern trend these cushion covers are widely appreciated for their vibrant nature and excellent prints.